Israeli officials, could lead to the eruption of a new conflict between the two enemies. In his annual report on the implementation of UN Security Council resolution 1701, he said that the threatening rhetoric from both sides "heightens risk of miscalculation and escalation into conflict." The rhetoric, he added, has "resulted in increased anxiety, including among the local population." The two sides last fought a war in 2006. Resolution 1701 helped broker a ceasefire between them. Guterres urged “Hezbollah” and Israel "to exercise restraint at all times" and "refrain from potentially inflammatory comments." The report was circulated on Friday at the Security Council. In addition, Guterres highlighted allegations of arms transfers to “Hezbollah”, saying that they continue "on a regular basis," which the UN takes seriously. But it "is not in a position to substantiate them independently, he said. He noted, however, that “Hezbollah” has displayed the weapons and acknowledged using them. Resolution 1701 calls for “Hezbollah” and all other armed groups operating in Lebanon to be disarmed and demobilized. 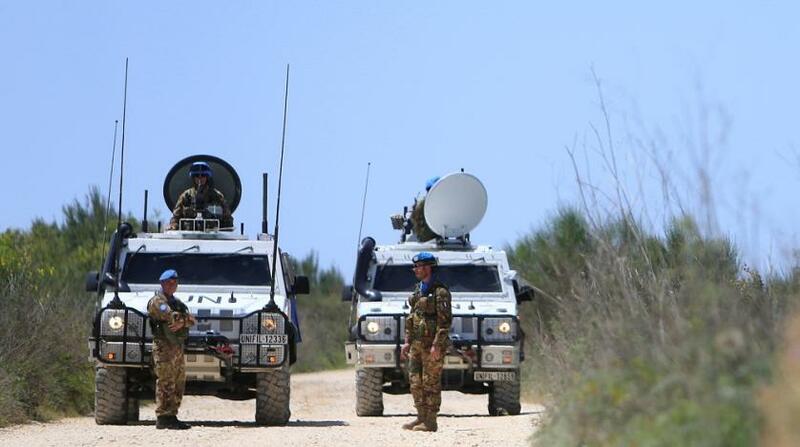 It also calls for the 10,700-strong UN Interim Force in Lebanon (UNIFIL) to monitor a zone south of the Litani River near Israel's border where “Hezbollah” is banned from keeping weapons. Guterres stated that Israel informed UNIFIL of the presence of “Hezbollah” weapons and infrastructure in three specific locations in that zone, which the UN force closely monitored, including by aerial reconnaissance, satellite imagery and patrols. But he remarked "no evidence to confirm the allegations was established." Despite "relative calm" along the UN-drawn Blue Line between Israel and Lebanon the level of tensions between the two countries remains high, he said, while citing the heated rhetoric between “Hezbollah's” leaders and senior Israeli officials. Guterres said he was equally concerned about continued Israeli overflights of Lebanese territory. From July 1 to October 30, he said UNIFIL recorded 758 air violations totaling 3,188 overflight hours, "an increase of 80 percent compared with the same period in 2016." He added drones were involved in over 93 percent or 707 of the violations. “Hezbollah’s” ongoing possession of arms and the meddling of its backer, Iran, in Lebanese internal affairs prompted Lebanese Prime Minister Saad Hariri to announce his resignation from Riyadh on November 4. He has since suspended it, pending consultations with Lebanese officials to ease tensions in the country that erupted in wake of his surprise resignation. Guterres' report was written before Hariri returned to Beirut on Tuesday. The UN chief stressed the importance of parliamentary elections taking place as scheduled in May 2018. He urged soldiers to remain vigilant in the implementation of resolution 1701 in cooperation with UNIFIL. “You must exert efforts to take the necessary measures to preserve security stability,” he continued.